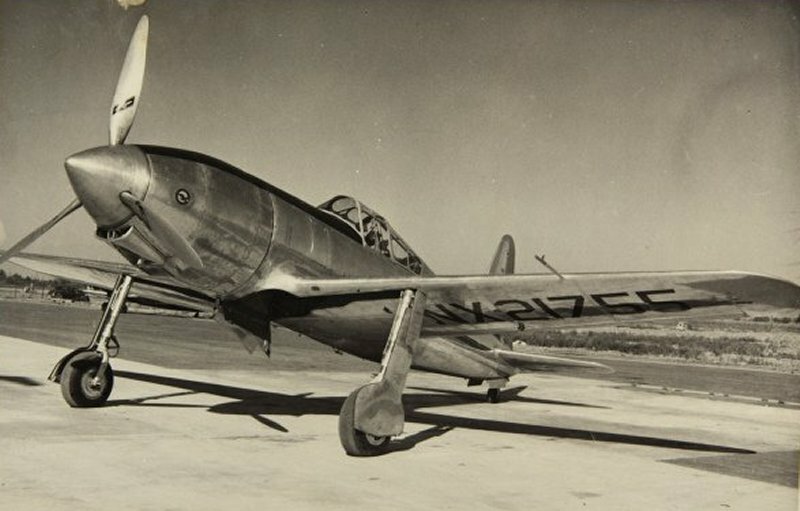 The Vanguard is one of those mystery aircraft that no one really has much, if any, historical data...at least in Chinese service. A lot of "Sunday morning publishers" want to claim they do...but their credibility is suspect. 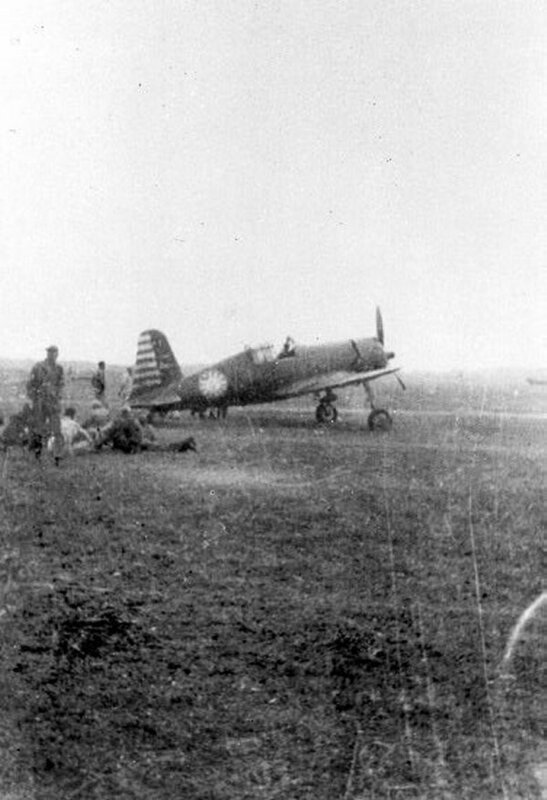 If there is any credence to this photo...the P-66 did indeed serve the Chinese Nationalist Air Force. As to it's service record against the Japanese...? Story goes that they were so sorely needed, they went into action while still sporting U.S. markings! Second Photo...Chinese markings...at the ready. Note the RDF antenna fitted below the wing center-section. Ian, I've always liked the P66. 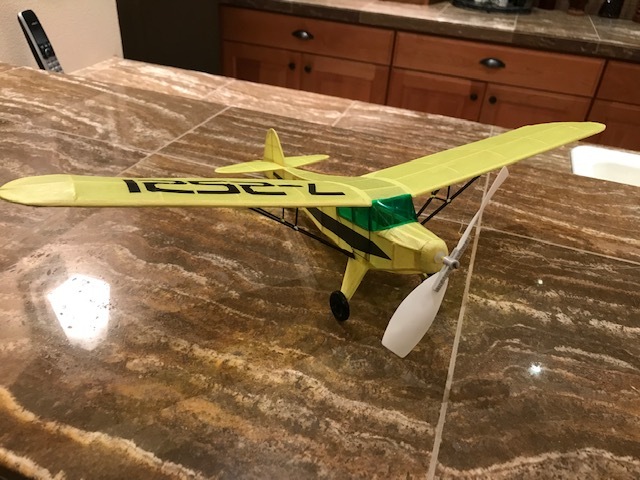 I have a 1/24 card stock model, that I haven't finished ( go figure ) and built a Diels laser cut kit. The Diels Kit went together very nice. Sorry, just noticed Neal's building the P66. I wonder what ever happened to the ones shipped to China. Scrapped I'm sure. Getting closer. This thing is small. 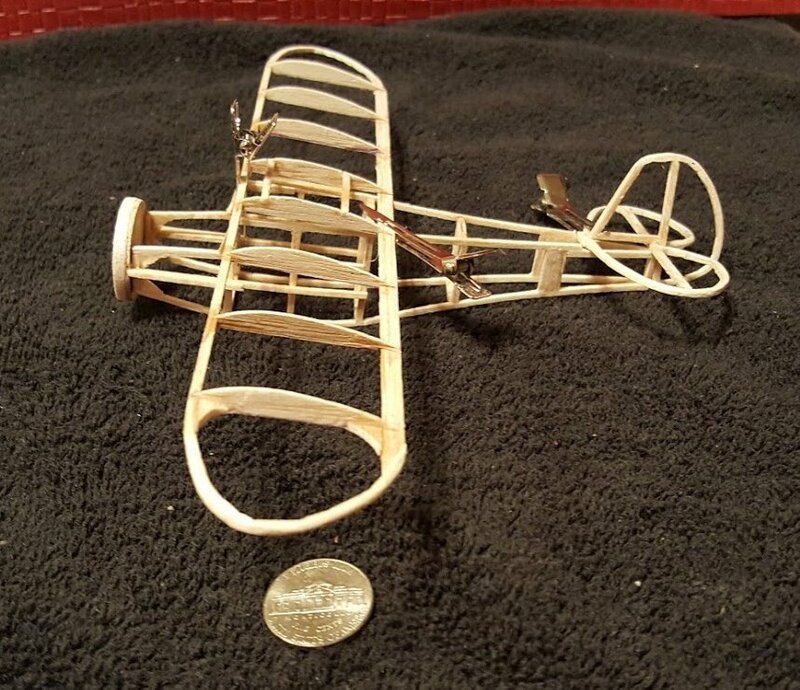 Alf, there was a basket case of a Monocoupe floating around here some where, I wonder if it's still available. Would be quite a challenge to restore. Awesome airplane, no VNE. Mike: thanks for the kind words. You'll notice I didn't take any photos looking down a straight surface It's not horrible, but I really didn't focus on quality. Like I said, I want to toss this plane into the air. My trim is black tissue applied with easy dope. The lettering is horrible - my worst job ever!!! jaggy edges, etc. The number is from the book Anthem and is part of the name of the main character "Equality 7-2521". I'm hoping to fly this weekend and I will try to get some video - good or bad - and post a link next week. It's much easier to ride the horse in the direction its going. So I'm just a kid at heart. Monocoupe looking good! Gets a bit more finicky when building little things. 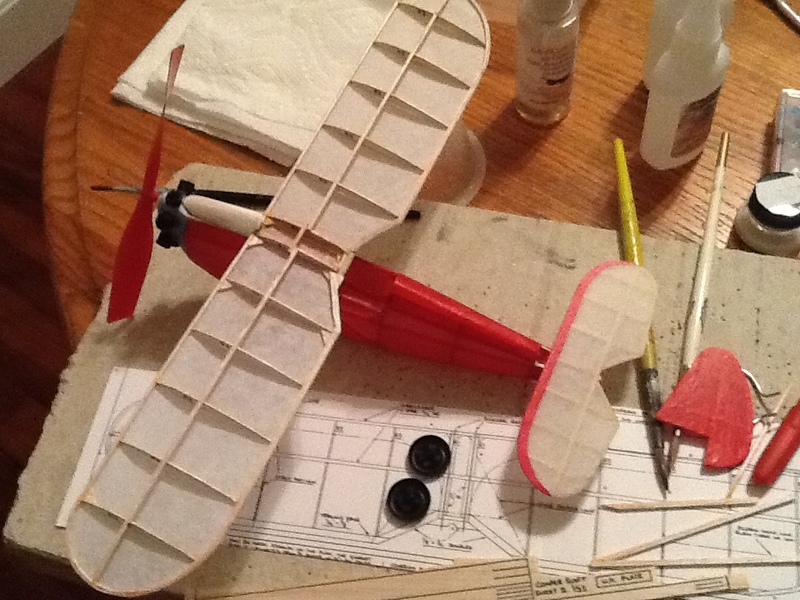 Monocoupe progress, things clipped together with much yet to do. 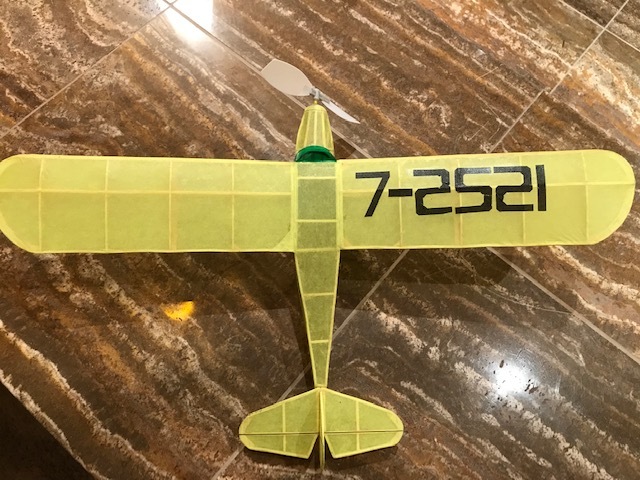 Differences so far, a thin 1/32 x 3/32 trailing edge instead of a 1/16 square, wingtips, stab, and tail are laminated 1/32 instead of 1/16 sheet. Undecided about the cowling area, thin sheeting or bond paper? Never have liked how paper responds to moisture. 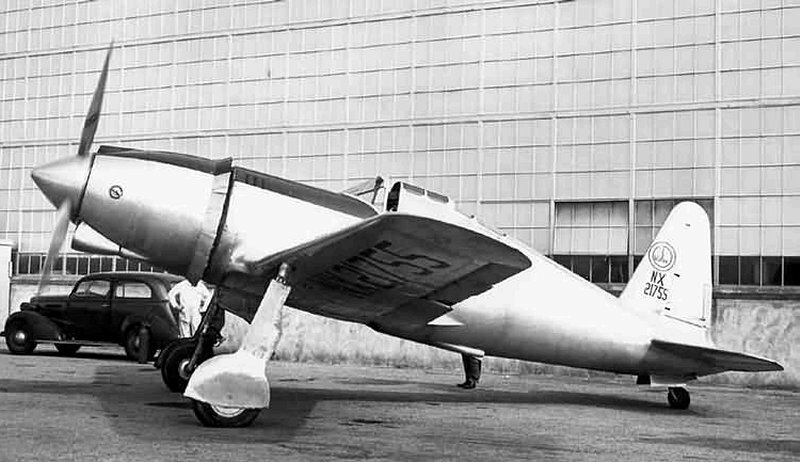 Vultee, like many other aviation designs of the time, attempted to cowl-in the radial engine of the prototype Vanguard...with the resultant cooling issues. 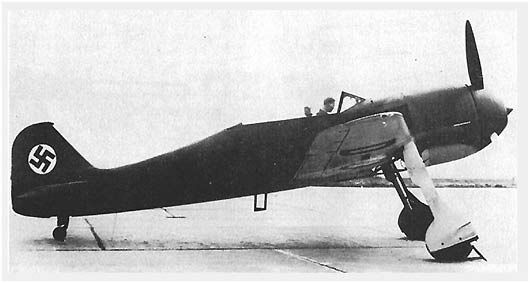 Focke-Wulf attempted the same thing with their prototype Fw-190. Solution was to go to a more conventional open cowling configuration. 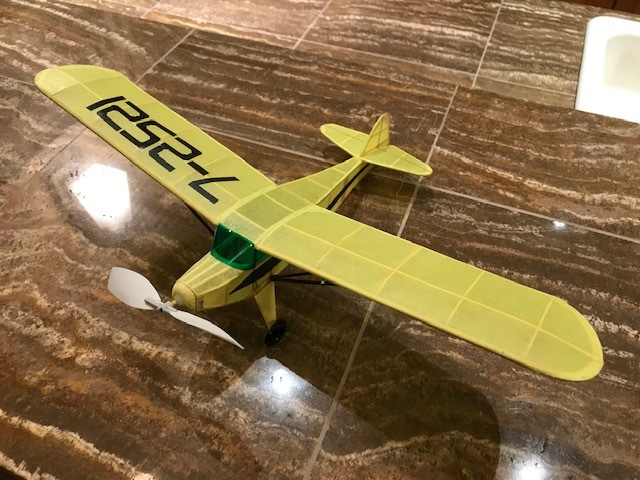 Alf - Wow, 10 inch wingspan, curved longeron and no spar. I'm watching. Will be great as always I'm sure. Brad - I've got a very different perspective and think it came out just fine, in fact, beautiful. Nice and straight. Can you comment on the trim and registration numbers? 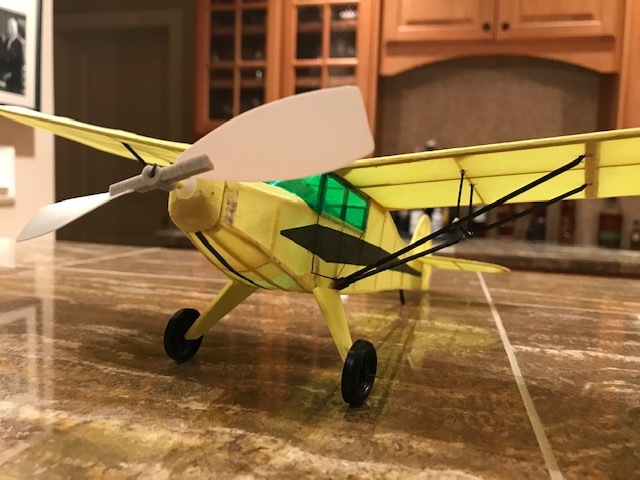 Nice Taylorcraft, Brad...gonna fly great! Well gents...I'm slowing down on this build...more like mired in sluggishness. 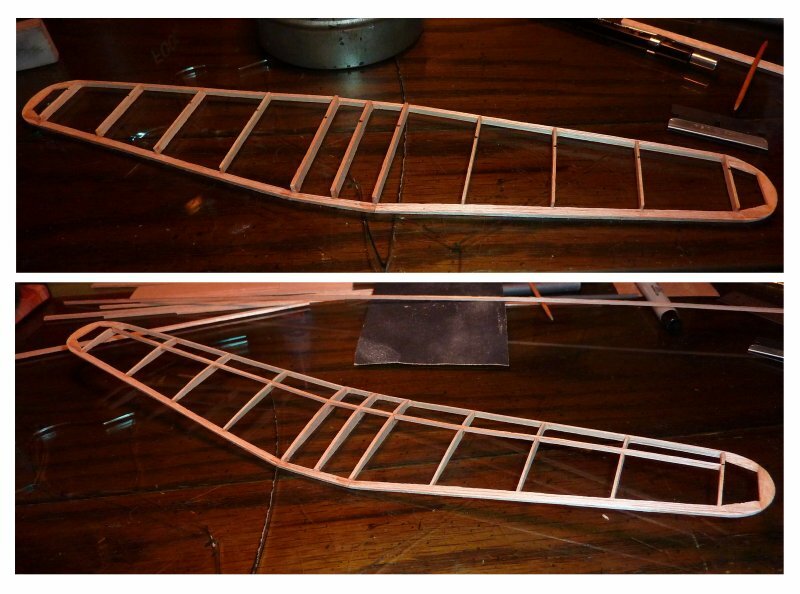 Still...committed myself with a wee bit of building...empennage. Next will be the wing. 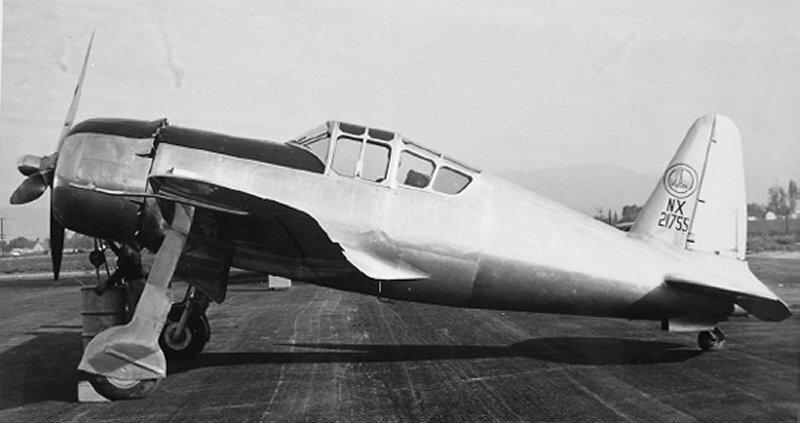 Vultee launched the Vanguard as part of a concept project during the late 1930's. 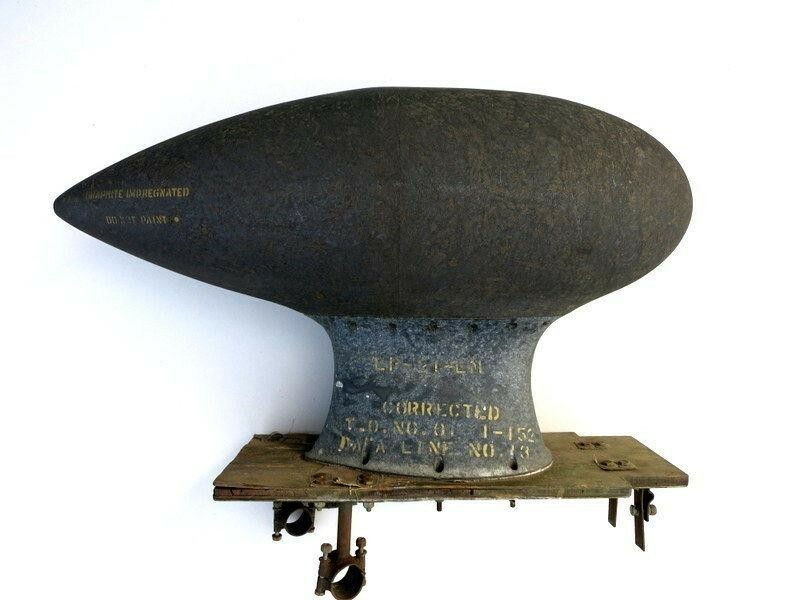 The idea was to design and construct various sub-assemblies that would be common to multiple aircraft types for ease of manufacture. 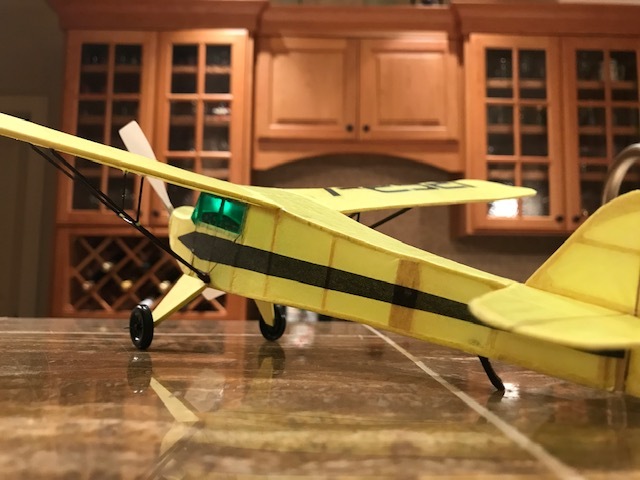 The idea was to use the same empennage and main wing structures in several related models, a basic trainer, advanced basic trainer, and finally in an actual fighter combat aircraft. 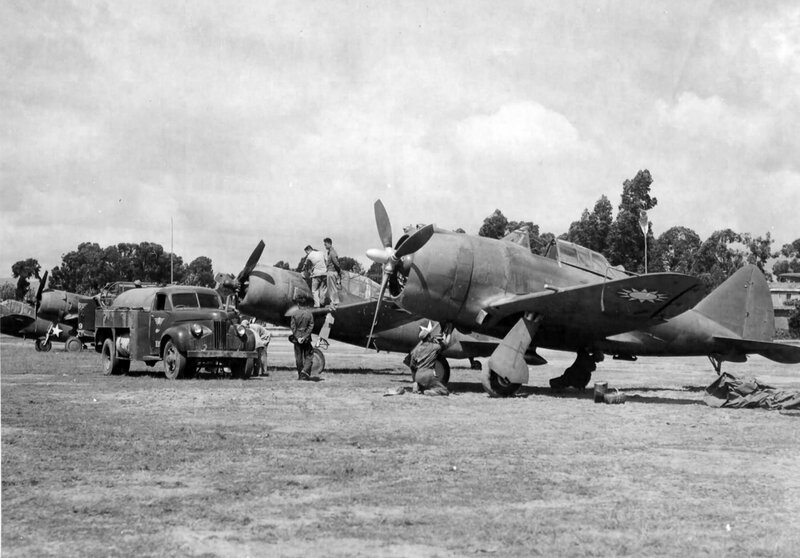 The project was labeled "48," it's entire expense being funded by Vultee, no involvement with the War Department. Project 48 was never intended for consumption by the United States military establishment, but instead directed toward export abroad. Vultee was all too aware of the difficulties of elbowing its way into competing with the preferred "big boys" within the War Department lexicon. To that end, approximately 150 units of the 48C were manufactured to fill an order placed by Sweden...who were very much aware of the desperate situation their neighbor Finland was in against the Soviet Union. Just as delivery was about to commence, FDR slapped an embargo upon any war materials destined for Sweden, lest it be used to assist Germany. The USAAF took control of all 48C's, dubbing them P-66 Vanguards...ultimately shipping them to China via India to assist the AVG. 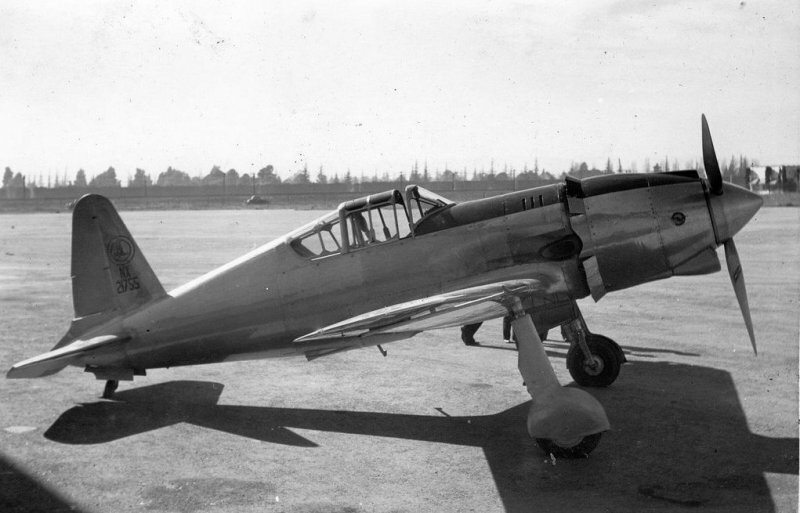 Vultee constructed no more Vanguards...the Army considering them as being unnecessary and the Curtiss P-40 mission adequate. 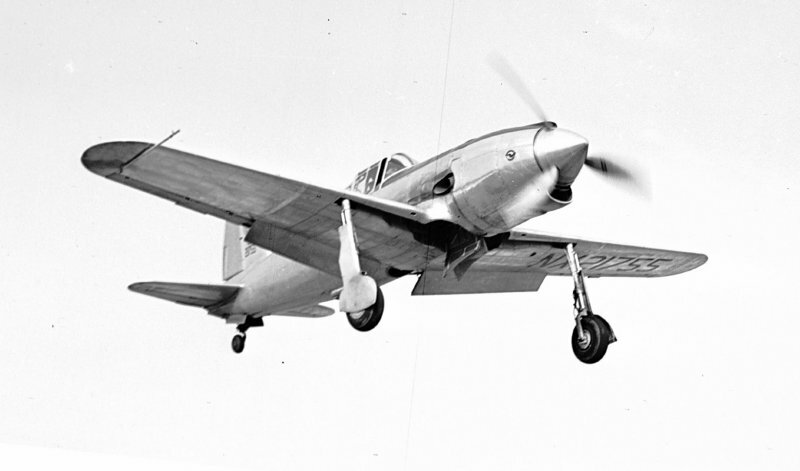 The P-66 was very much comparable to the P-40, 340mph max speed, by many accounts, lighter in overall weight and a delight to fly. Operationally its armament consisted of two .50cal mg in the fuselage and two .30cal mg in each wing. 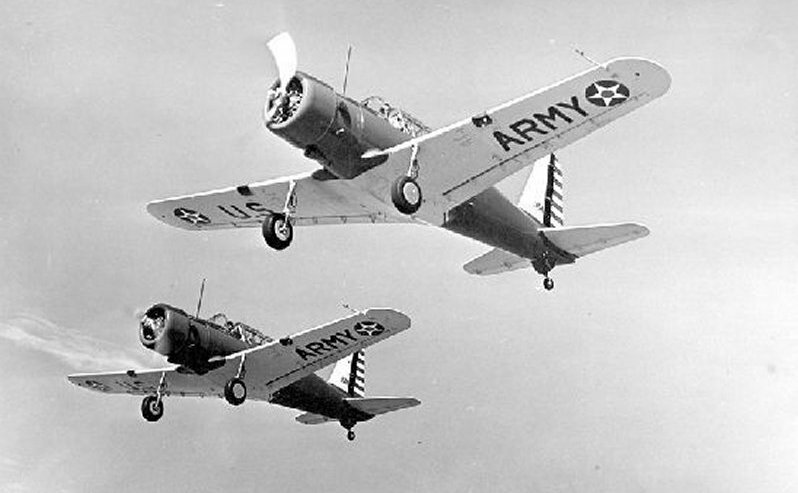 Unlike the Navy's treatment of Brewster however, the Army did extend some "love" toward Vultee by accepting the advanced basic trainer of Project 48, officially naming it the BT-13...of which 11,000 units were delivered between 1939-44...to the USAAF, USN...and the USMC. In effect, the empennage and wing of the Vanguard lived on. Very nice! 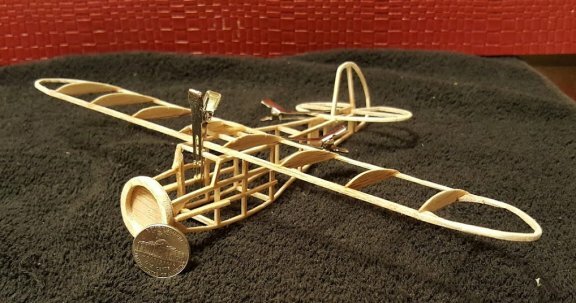 I hope my Monocoupe looks half as fine as this!! Looks great Brad...as for the green, It's obviously to handle the bright sun when it comes out in the Pacific Northwest!!! Our eyes aren't always adjusted to the bright sun due to the regular clouds and rain!!! Here she is. Basically done. Not the prettiest or the straightest, but she's light and I have no reservations about tossing her into the air!!! 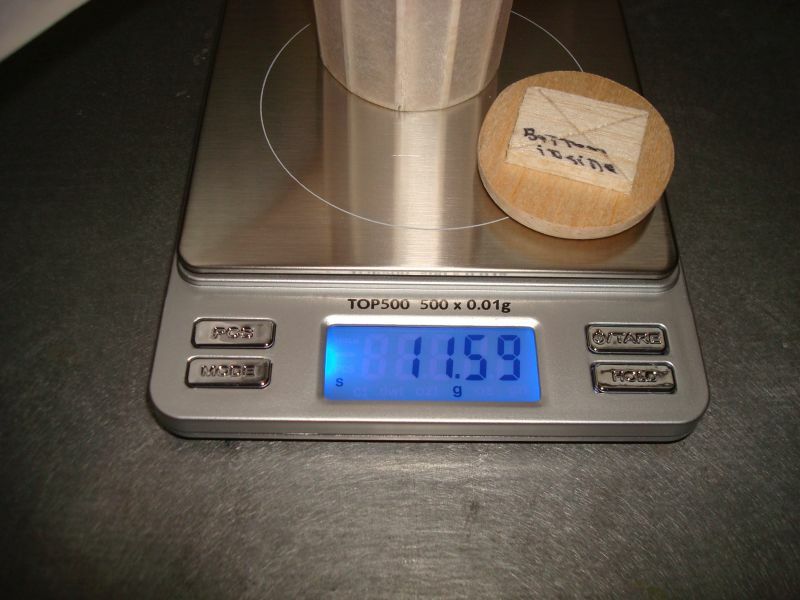 Finished weight about 12 grams. 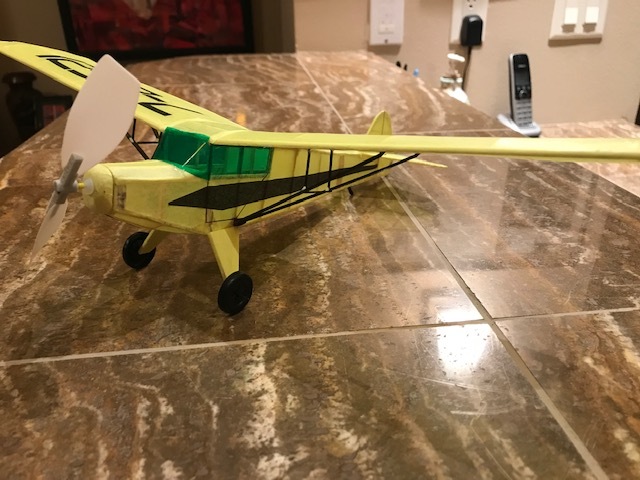 I'm planning on double loop of 3/32 rubber 2x fuse length for the motor with the light indoor prop. Balance is currently pretty close so I won't have to add much weight. You ask "why green for the wind screen?" I have no idea!!! 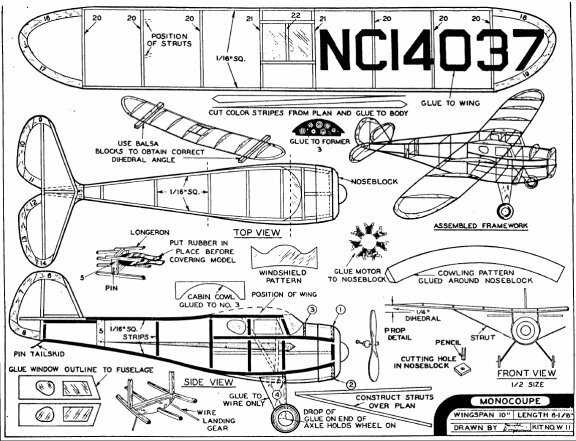 Next project is something from the FFA website plans, the Comet Nickle kit Monocoupe. 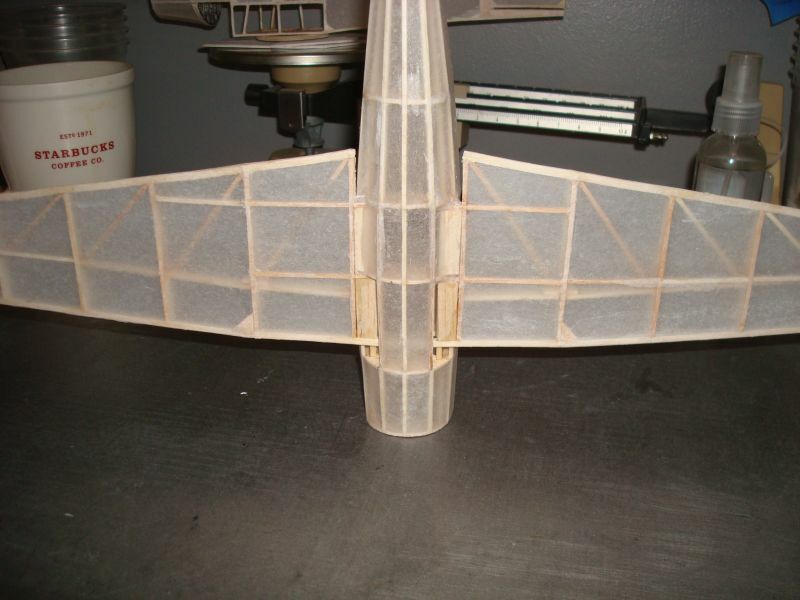 A chance to use the box fuselage method and an attempt to build as light as I can using the many tips offered here. 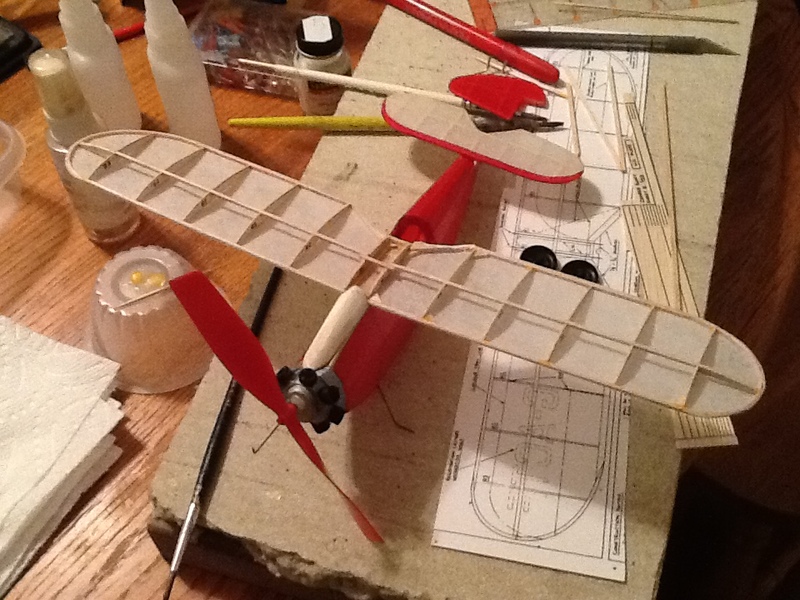 Went back and forth on how to fill the hole where the wing went in, foam or stringers? I thought what could go wrong with the foam and the answer was nearly everything so decided to use the stringer replacement therapy. Had to add some wood to provide tissue attachment points and started with the stringers thinking if it went really bad I could cut the whole thing out and start over. It's not very pretty but will get the job done and it is on the bottom and I don't need to show it again. My digital scale arrived yesterday and found my weight has gone up a bit, analog scale said 9.65 grams. Still fairly respectable all in all. Did a bit more. I got the wings completed! 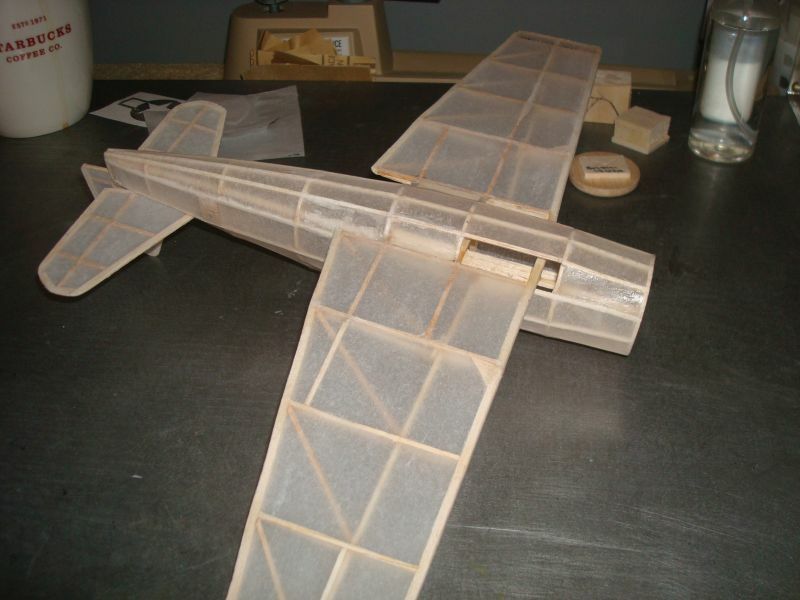 Only thing left is the fuselage.